Based on a 6 inch cake tin and one standard cake mix. Bake the cake for approx 45 mins to an hour’ or until a skewer placed into the centre of the cake comes out clean. As soon as the cake comes out of the oven, rest a bread knife on the top of the tin, and slice off the cake lid. Don’t wait a second , slice it straight off, and keep or freeze for cake n custard on a Sunday ! 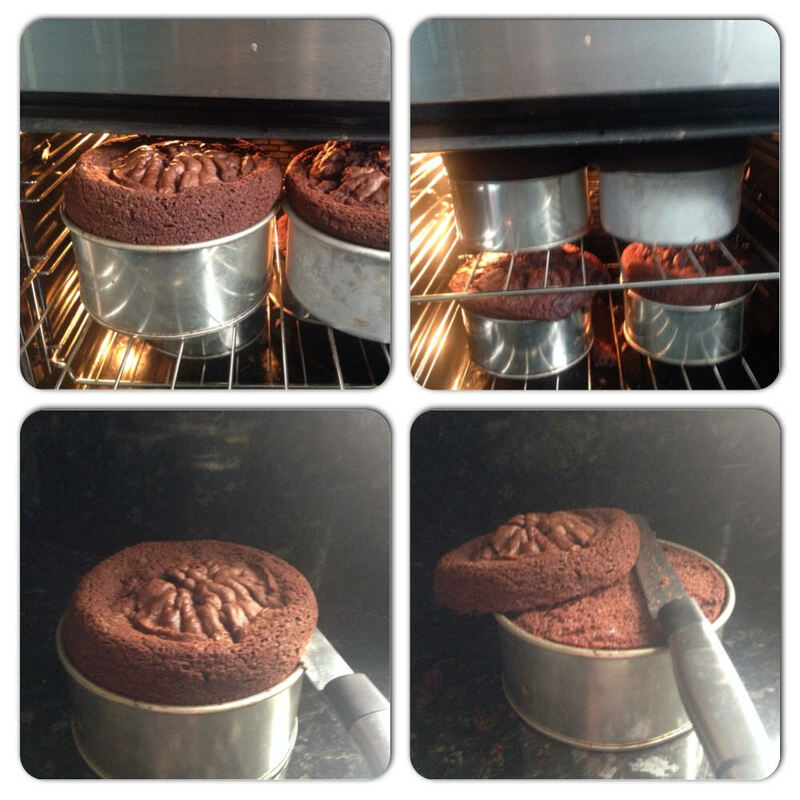 Now turn your cake out onto a cooling rack immediately afterwards, with the uncut side against the wire. When the cake is cool ,mark a vertical line down the side of the cake with icing sugar in order that you can match up this line after splitting and filling your cake. Now using the bread knife slice your cake in half horizontally and fill. Place the two halves back together lining up the vertical line from earlier.Note we bake four cakes at a time in a normal oven ! Don’t waste time or heat, bake bake bake and freeze the spares wrapped in foil and placed in a strong plastic freezer bag. They keep well for a couple months ….